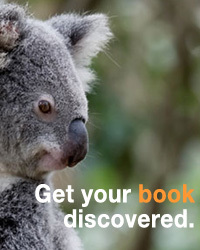 The Australian Society of Authors (ASA) has appealed to authors, including self-published authors, for information to help it campaign the government to extend the current Public and Educational Lending Rights (PLR and ELR) schemes to cover digital publications. The schemes, intended to compensate authors and publishers for the loss of potential sales income due to their books being available for free through public and educational lending libraries, do not currently cover the lending of ebooks or audiobooks. The information requested by the ASA, which can be sourced from author royalty statements, will help the society to understand ‘the complicated world of ebook lending’ and how publishers account to authors for ebooks that are licensed to library aggregators (such as OverDrive). ‘We don’t wish to see our digital-only writers disadvantaged and would love to see this pot of money expanded, and, at least, shared more equitably among Australia’s authors and illustrators,’ said the ASA. Self-published authors can advise the ASA on whether their ebooks are available to libraries for loaning and share their experiences in dealing directly with aggregators. For more information, visit the ASA website.